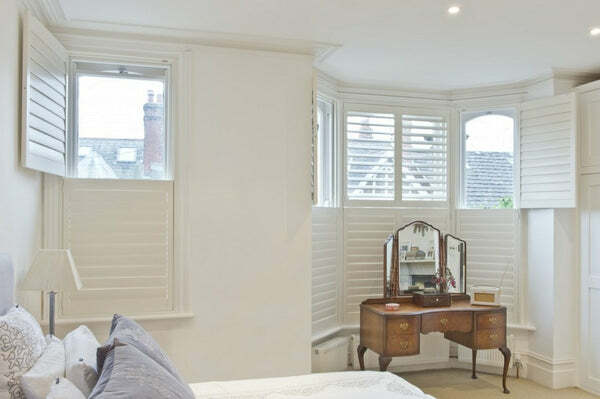 We offer different plantation shutters mounting options. If you choose our measure & fit service, our surveyors will be able to explain the options available and will make sure that the best shutter frame is selected, according to your preferences and the window measurements. However, if you are a DIY enthusiast and want to order the shutters online, this choice is often the most difficult to make. With this short guide, we try to explain in some more details the elements that determine the choice of the correct shutter frame. This is the first decision to make. Often, we install shutters inside the window recess, as close as possible to the windows, so that the window sill can still be utilised. The correct position of the frame will also depend on the slat sizes, which should take into consideration if there are elements (like window handles) that might impede their correct opening. For more information on the correct window measuring, you can read our guide to DIY shutters or download our measuring guide by clicking the button below. The inside mount installation makes the shutter look like an integral part of the window. However, this solution has the disadvantage of the reveal walls preventing the shutter panels from folding completely back. In other words, with an inside mounting option the shutters can only fold by 90 degrees (or until they touch the walls). Nonetheless, this is often the preferred shutter mounting option. If your window alignment is not regular (you can determine this by taking the measurement according to our guide), it would be advisable to choose an outside mounting option. In this case the frame will fit outside the window recess and will square off any inconsistencies in the window alignment. Another advantage of the outside mounting is that the shutter panels can be folded back completely against the wall. This could be an interesting feature for those who want to keep their shutters open during the day, but it will require having enough space to fold them. This choice is therefore easier than one can think! 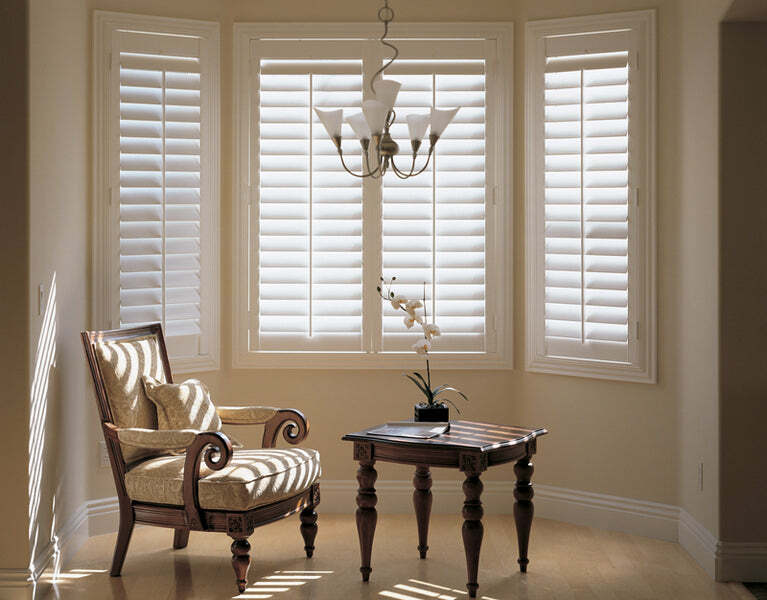 In any case, windows can have very tricky measures, and if you order your shutters online, we will not complete the order without contacting you first to clarify any doubt. You can also contact us before completing the order online, and we can go through the various options with you. For particularly difficult window shapes, sliding shutters or bay window shutters, there are too many possible variations, and we suggest to use our measure and fit service. Just book a free survey online and we will send you one of our surveyors to measure the windows and show you the available options. As you can see in the sketches, the difference between the deep plain and the insert L shutter frames is the way they are fixed to the wall. The arrow shows the direction of the screw. With the bullnose Z frame, you can combine the practical inside mount assembly and a more decorative frame edge. If you prefer an outside mount, we suggest a frame can have a more decorative aspect. In this case, the Camber deco shutter frame is probably the best choice. An alternative choice could be the simpler Insert L frame (the same that can also be used for inside mounting). This is often the preferred choice for sash windows, because a simpler frame can match more easily the elaborate window frame that can be found on this type of windows. We hope we have somehow simplified the choice of the right shutter mounting option and the correct shutter frame, but if you have any further question do not hesitate to contact us! 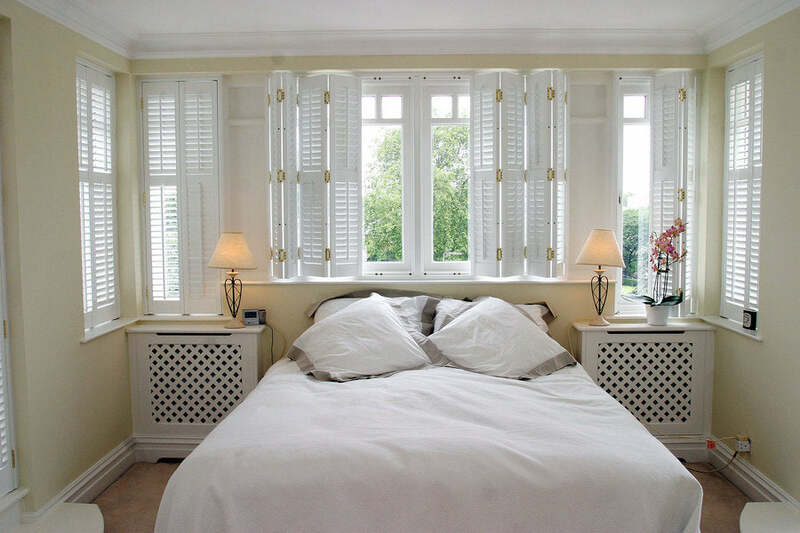 You can now try our design and buy online tool, and design your shutters. You can have a precise estimate of the shutters cost and define more detals, like shutter styles, materials, colours, number of panels, etc. 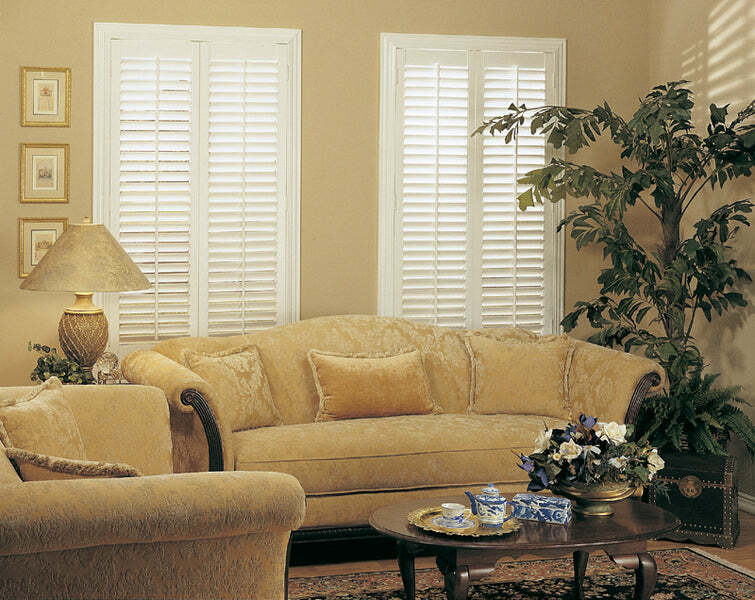 Once you have completed your configuration, you can add your shutters to the chart and complete your order online. After placing your order, we will contact you to check if everything is fine and you are happy with your choices. Only then the order will be entered.